This entry was posted in Prog Rock, Rock Music, Vinyl Records and tagged Genesis on March 30, 2019 by vinylmeister. First USA pressing of “Live Bursting Out” a two record lP set by the British Rock band “Jethro Tull” and was released in 1978. This entry was posted in Prog Rock, Rock Music, Vinyl Records and tagged Jethro Tull on March 28, 2019 by vinylmeister. 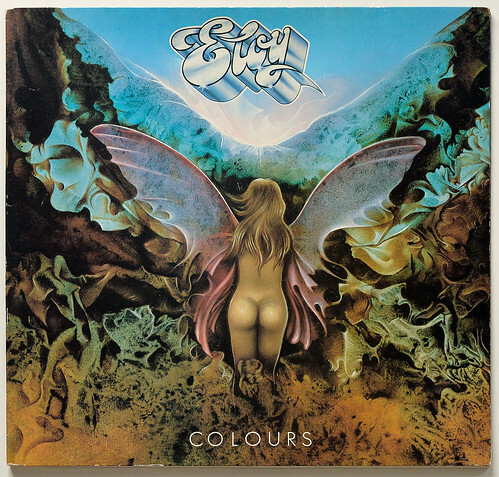 Colours is the ninth album by Eloy, released in 1980. This entry was posted in Album Cover Gallery, Prog Rock, Rock Music, Vinyl Records and tagged Eloy on March 14, 2019 by vinylmeister.